Michelle R. Katz graduated from Brooklyn Law School in 1985 and is admitted to practice law in both New York and New Jersey. 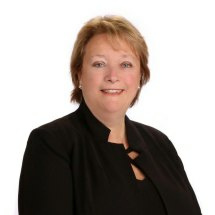 She has been in private practice for the past 25 plus years representing clients in all areas of the law with a concentration in residential and commercial real estate transactions. Michelle has represented thousands of Buyers and Sellers in achieving their dream of homeownership and prides herself on personal service. She is very proud that her practice has been built on referrals rather than advertising with many repeat clients. Michelle has performed hundreds of commercial closings, most notably a very complex $47 million purchase of 11 buildings in Lakewood, NJ. The firm employs expert paralegals who have extensive experience in real estate so that clients' needs can be served quickly and efficiently. Whether you are refinancing, buying or selling your home, Michelle's legal expertise will be used to protect your interests. Michelle is a member of the Ocean County Bar Association, the Monmouth County Bar Association and the Haydn Proctor Inn of Court. Michelle has been married to her husband Harry for 30 years and is the proud mother of 4 daughters, the eldest of whom is an attorney. She lives in Freehold with her husband and goldendoodle. Michelle is happy to offer a free consultation to discuss your personal legal needs.